“Indoctrination “. Start them early. 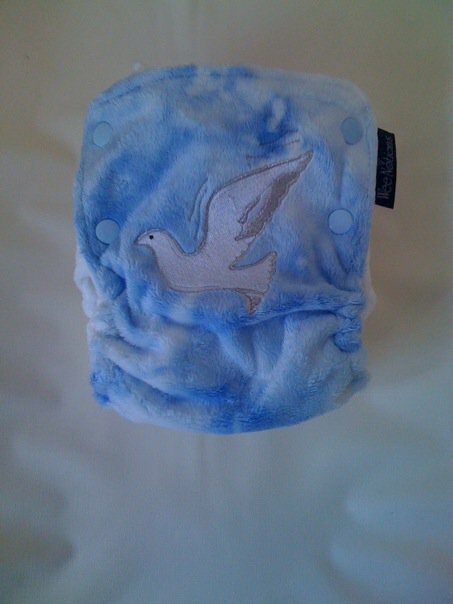 How do you like our reusable nappies? We had this one made for Imogen’s Baptism. There’s another one, that says “Jesus Loves You”. I’ll post a photo shortly. Poor baby. Fancy. Having its parents beliefs imposed on it like that. Absolutely shocking. As David Beckham once said “We’re definitely going to get Brooklyn Christened, but we don’t know into which religion”. Those are absolutely fantastic! Where did you get them? Or did you make them yourself? 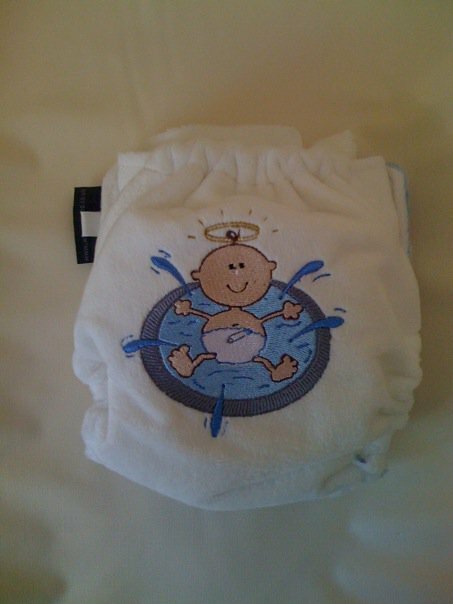 I designed them, a company called Wee Notions made them.